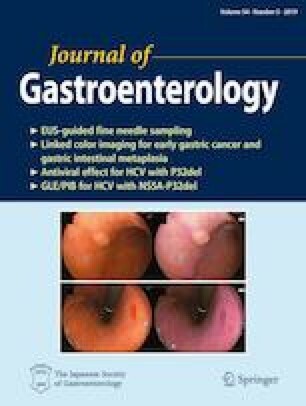 This study was aimed at evaluating the association between single nucleotide polymorphisms (SNPs) in the PNPLA3, NCAN, TM6SF2 and MBOAT7 and hepatocellular carcinoma (HCC) development in Thai patients according to underlying etiologies of liver disease. These SNPs were determined by allelic discrimination in blood samples of 105 healthy controls and 530 patients with HCC [270 with hepatitis B virus (HBV-HCC), 131 with hepatitis C virus (HCV-HCC), and 129 with non-B, non-C HCC (NBNC-HCC) matched for age and gender]. G allele of PNPLA3 rs738409 variant was significantly higher in NBNC-HCC (49%) compared to healthy controls (32%), HBV-HCC (32%) and HCV-HCC (31%) (P < 0.001). T allele of TM6SF2 rs58542926 was more prevalent in NBNC-HCC (24%) than in healthy controls (8%), HBV-HCC (10%) and HCV-HCC (12%) (P < 0.001). The distribution of NCAN (rs2228603) and MBOAT7 (rs641738) was not different between groups. In multivariate logistic regression analysis, PNPLA3 rs738409 (OR 2.06, 95% CI 1.24–3.43; P = 0.005) and TM6SF2 rs58542926 (OR 2.22, 95% CI 1.34–3.65; P = 0.002) were independently associated with NBNC-HCC compared to viral-related HCC (VR-HCC). The proportion of patients with NBNC-HCC increased significantly along with the increase of the number of risk alleles. There was no association between these SNPs and overall survival in patients with HCC. These data showed that PNPLA3 and TM6SF2 polymorphisms were independently linked to NBNC-HCC but not HBV- or HCV-HCC in Thai populations. In addition, the risk genotypes might interact with each other through tumor development in patients with NBNC-HCC. Maneerat Raksayot and Natthaya Chuaypen equally contributed. This study was funded by the Grant for Chula Research Scholar (CU-GRS-60-06-30-03) and the Rachadapisek Sompot Fund for Postdoctoral Fellowship, Chulalongkorn University. This study was also supported by the Thailand Research Fund (RTA5980008), the Research Chair Grant from the National Science and Technology Development Agency (P-15-50004) and JSPS KAKENHI Grant Number JP15H05289. The work was also supported by the Center of Excellence in Hepatitis and Liver Cancer and the Center of Excellence in Clinical Virology, Faculty of Medicine, Chulalongkorn University.